The Grand Finalist at Worlds 2018 has announced the addition of a new Mid-lane player to their roster. 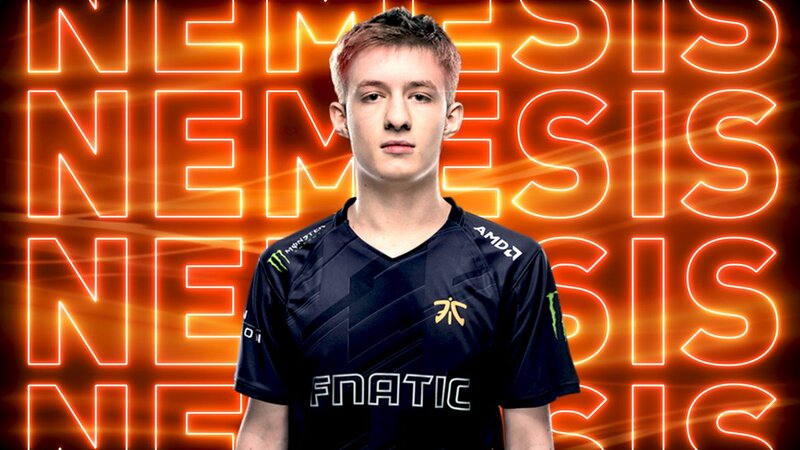 Joining Fnatic will be 19-year-old Slovenian player Tim ‘Nemesis’ Lipovšek. The player is currently a part of Mad Lions. The team has won the EU Masters 2018 Summer and twice LVP SuperLiga 2018 winners and is considered to be a promising team. Fnatic has historically always been the most successful European team and I count myself lucky that the opportunity to join arose as I enter my first competitive split. I see playing in an already such established roster as an incredible privilege, but I’m mindful that I must be quick to adapt and not fall behind this team! The Fnatic Mid-lane is one of the most exciting positions in the game. Fnatic has their unique style of play which forever helps their mid lane player. Nemesis will replace Rasmus ‘Caps’ Winther for Fnatic’s mid lane position. Nemesis has his work cut out for himself as he intends to take Caps’ position on the team. I thought Caps was already the best western midlaner even half a year before he joined Fnatic, and currently, he’s proved that by far. With this addition, Fnatic looks forward to seeing the start of their new season. Hopefully, they can make real inroads with the new player. Considering how talented he is, it will be important for the Fnatic management to control his temperament. They also have to ensure that he is on the same page with the rest of the team. Building up talent may take time and always comes with risk. But I believe Fnatic provides their players the perfect platform to become stars: we have the most tools and the friendliest, hardest-working teammates that Europe has to offer. We look forward to showing exactly that once again in the upcoming season! Joey ‘YoungBuck’ Steltenpool, Fnatic League of Legends Team Director. For now, Nemesis still has not joined Fnatic. The organisation is awaiting Riot’s approval for the same. Meanwhile, you can catch the future midlaner for Fnatic live in action when Mad Lions play in the Iberian Cup Semifinal. You can read the official press release here.